A perfect product to start with. 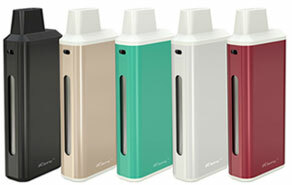 The iCare is a compact e-cigarette starter kit with an internal tank and airflow system. It is simple to use with an automatic On/Off feature that initiates upon inhalation. Select your most suitable flavor & taste. E-liquid is the fluid that is vaporized while using an electronic cigarette. It is what provides the nicotine solution and flavoring in an e-cigarette experience. The iStick Pico, just like its name, is preferable, innovative, compact and outstanding (PICO). Powered by single interchangeable 18650 cell. Tanks are where e-liquid is stored and are a primary part that contributes to the e-cigarette experience. There are many tanks on the market ranging from Clearomizers to Rebuildables, each offering something different. Comprehensive selections of the most instrumental e-cigarette parts and accessories available at Vapebrothers. Read the latest news, stories and updates at Vapebrothers.